Tracy Vargas started Learning for Tomorrow NJ, LLC because of her desire to provide more teacher, student, and administration support. Tracy has taught in both public and private education settings. Initiatives such as person centered planning, positive behavior supports, and inclusive technology practices were implemented under her guidance. Tracy believes that learners of all ages can benefit from assistive technology designed to overcome writing, reading, typing, and organizational struggles. Over the years, students supplied with a variety of technology have moved on to meaningful post-secondary careers. Learning for Tomorrow LLC offers assistive technology learning evaluations, training, and special education consulting. 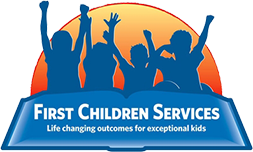 Please contact Sonia Cohen at 856-888-1097 Ext 304 or scohen@firstchildrenservices.com with any questions.